It took them a while but after a couple of heartbeats, the hands of some of my priso- err, the writers visiting my basement hesitantly raised their hands. From among those that didn’t raise their hands, I dragged Bren Kyveli out of the basement. She, like I, only played Pokemon GO for about a day before we grew bored with it. So, now let’s go for it and jump right into the interview. For me there are two types of inspiration; positive and negative. Then there are the negative inspirers. Those so-called authors like E.L. James, Stephenie Meyer, and too many countless others to name, whose books are riddled with boring and/or irritating characters, lame plot lines, weak villains and even weaker heroes, cliche after cliche, trope after trope and often time just downright ridiculous writing. -Do you write full-time or part-time? I would love to write full time, 6-8 hours of peace and quiet with nothing but pen, paper, and coffee… pure bliss. But alas I’m a stay at home mom with a three year old. So the daylight hours are dedicated to chores, playing princess castle and play dough, playdates, and grocery shopping. The evening hours are dedicated to family dinner, bath and story time and some much needed adult conversation with the hubs. But once the house goes to bed for the night, then that’s when I sneak into my little office oasis–with it’s candles and fountain and warm ambient lighting–lock the door and write in peace. It’s only about two hours but those 120 minutes are truly the most refreshing and cathartic time of my day. Without them I would be a giant ball of crazy dragon mom. -What advice would you give to your younger self? Babysit children, learn how they interact with the world and let them teach you mothering skills and instincts. That way when you have your own children it’s not such a shock to your system finding out how needy and fickle and demanding and yet how fragile and impressionable they are. But then I may not have ever discovered the love of writing so I guess it works out. -Which famous person, living or dead would you like to meet and why? I nearly died with excitement… I still get jitters thinking about it. I called my mom and told my Scribophile friends and even brought it up in conversation with my real life friends any chance I got. Of course my real life friends have no idea who he is so they all thought I was a bit crazy but I didn’t care. Also I’d love to meet Mae West. She was classy, sassy, witty, highly intelligent and cunning and straight up didn’t give a f*ck. She owned her sexuality and broke rules and set standards decades before Marilyn. I’d like to think we’d hit it off pretty well actually. -When you develop characters do you already know who they are before you begin writing or do you let them develop as you go? BK: I am a complete pantster, which means I write by the seat of my pants. The story, the characters, the settings, the drama all unfold on their own. The ending is the only thing I plan out, otherwise I get lost and loose steam. With characters their personalities tend to decide their names and often times don’t even have a name until one of my later edits close to publication. There are a few times when the name comes first. When that happens I immediately know everything there is to know about that character and writing their story is effortless. Then there have been times when I’ve trudged through the whole story hating every bit of it because it didn’t feel right, and it turned out all I needed to do was change the name of the character. That I in fact named them too soon. 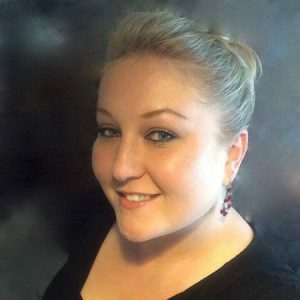 Bren Kyveli is a Contemporary Romance/Erotica writer, a short story author, and is currently working on a second novel which she hopes to have on Amazon by the Fall of 2016. She took to writing fiction a few years ago while her husband was on yet another six-month long deployment. But she’s had a deep love for the written word since she was a toddler; reading everything she could get her hands on and always writing something in fancy journals with lovely pens. She is a stay at home mom of a very spirited little girl and a couple of old rescue mutts, but once her house has gone to bed for the night, she sneaks off into her writing oasis and into her world of fiction… which she still prefers to write with real ink and paper instead of a keyboard.